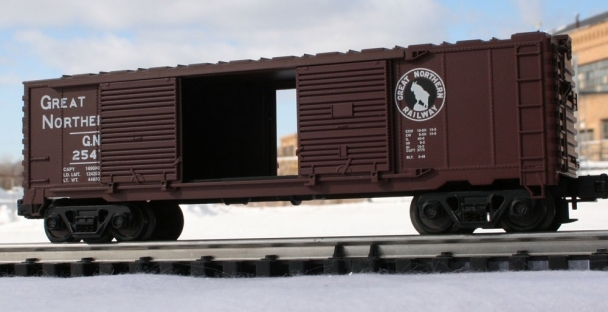 The series 1100 double door boxcar are based on USRA designs of the 1930s. The car represents a 40' box car and includes period details such as a Murphy panel roof and poling pockets on each end of the car. Boxcars are general purpose cars used to haul a variety of good. Because of their enclosed design, they are ideal for transporting freight that needs protection from the elements. Double doors allow for loading of larger bulkier items as well as quicker loading and unloading of smaller merchandise.